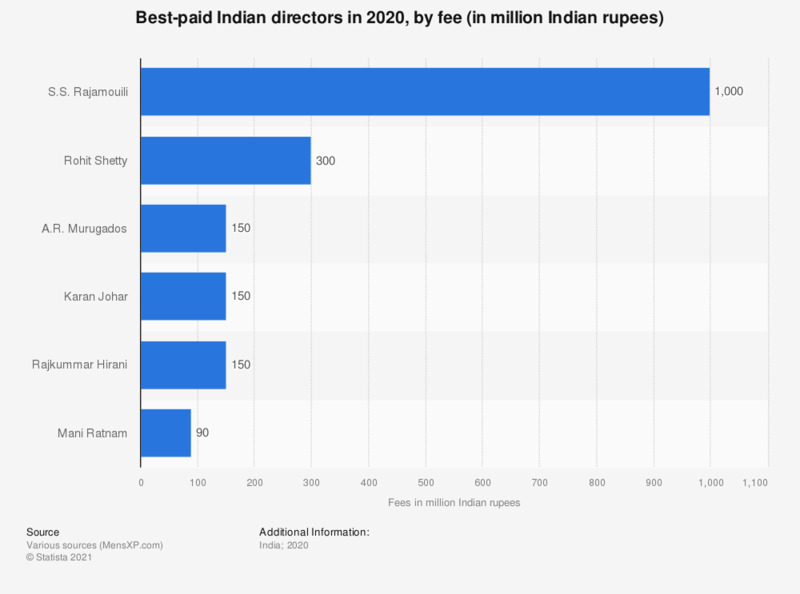 This statistic displays the best-paid Indian directors in 2018, based on their earnings. Telugu cinema director Koratala Siva ranked first among directors that year with over 200 million Indian rupees in earnings, followed by Hindi cinema director Rajkumar Hirani at about 183 million rupees. Everything On "Film industry in India" in One Document: Edited and Divided into Handy Chapters. Including Detailed References.